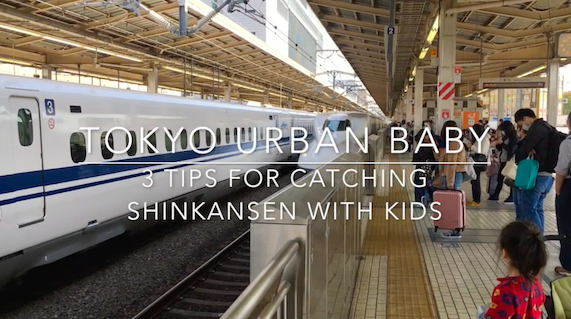 Are you wondering what it is like to catch a shinkansen with kids? 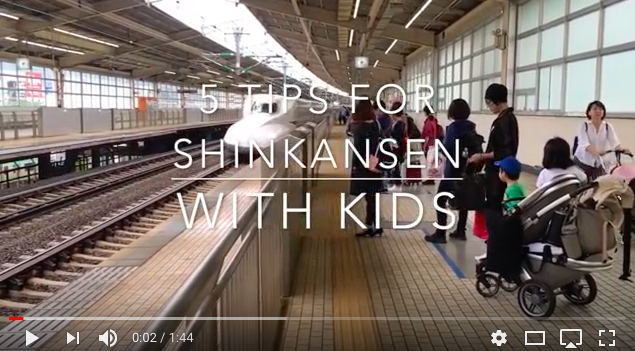 Play in corridor – If your kids have a lot of energy, you can play in the corridor in between the cars. I found a green public phone which the kids had fun playing with and pretending to make phone calls, and the train staff came by and gave my kids some cute stickers. We were on a trip to Kyoto which takes about 2 hours, and we spent at least 30min of the trip playing in this area. It is also next to the toilets which is convenient. 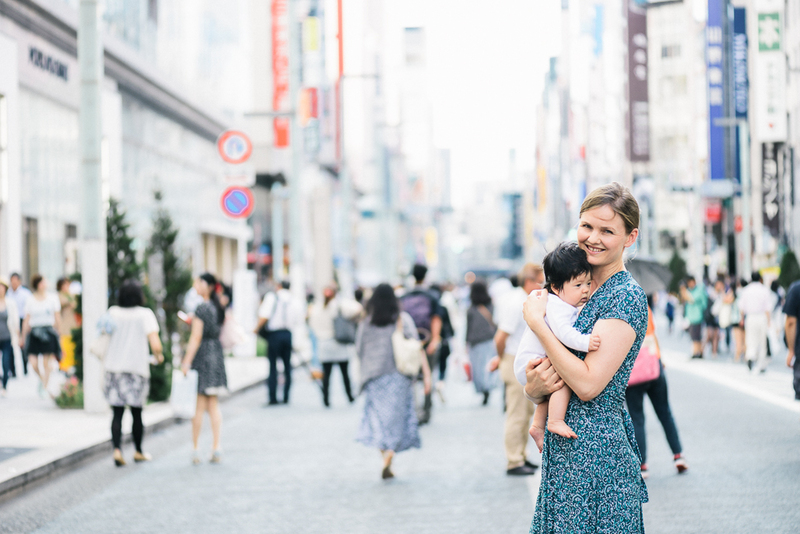 Seated area – If your kids are happy to play on the seats, just make sure to take their shoes off (Japanese etiquette). My kids ate snacks here, we read some books, and watched some cartoons here. View from the window – Looking out the window is alot of fun! Your kids will love watching the houses whooshing past. It is also helpful to look out the window if your kids get motion sickness. 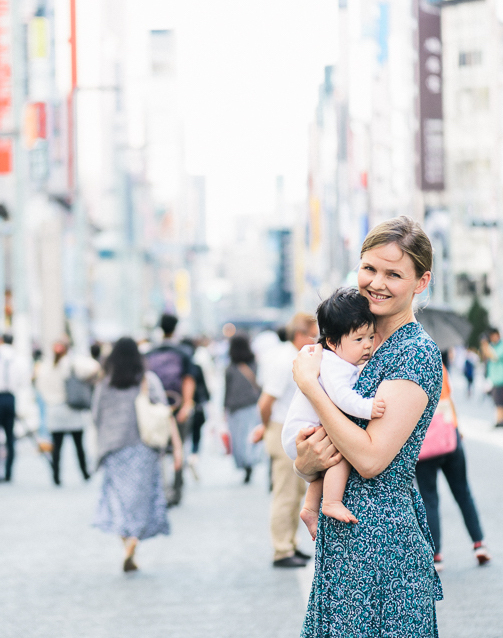 Rest area – there is a special locked room with seats for breastfeeding or privacy for feeding or caring for your baby. You can ask the station staff for the location and they will explain to you. Change diapers – there are toilets in every car with a diaper change table, so this is very convenient for changing diapers when you need. There is also an all-purpose toilet next to the rest room for breastfeeding, which is huge and has more room for changing diapers. 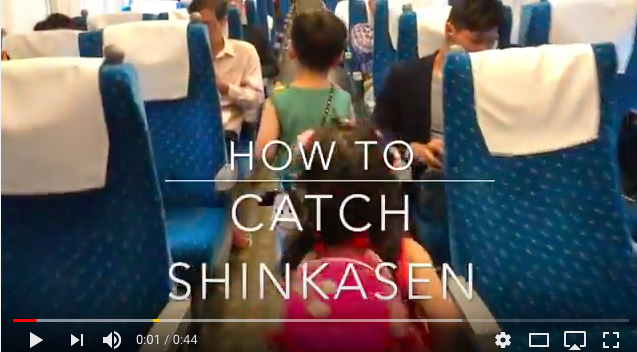 I will need to ride the Shinkansen next month with my one year old and I am sure we can male need of the baby room! Also thank you for putting the tips in written form too. I am normally not able to watch videos with sound turned on, so this was very helpful!